GUTHRIE CENTER, Iowa — Four people were killed in a small plane crash when the pilot apparently suffered a heart attack leaving it to a student pilot to attempt to land safely, authorities said. 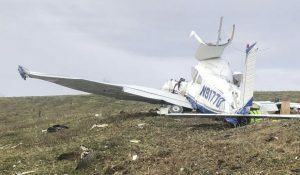 The plane, a 1979 single-engine Piper, disappeared from radar Friday night after the student pilot alerted Iowa air traffic controllers that the instructor had fallen ill. Authorities were prepared for an emergency landing at Guthrie Center airport, but the plane never made it to the airport. The remnants of the plane were found in a cow pasture about four miles from the airport, KCCI-TV reported. All four passengers — who had been flying from Le Mars to Osceola for a hunting trip — were declared dead at the scene. Police identified the victims as Edward Ralph Anderson, 49, who was the pilot, Patrick Kellen, 36, Tyler Douvia, 28, and 15-year-old Samantha Clark. The crash is being investigated by the Federal Aviation Administration. 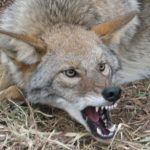 FORT DODGE, Iowa — Put the gun down, Rover! 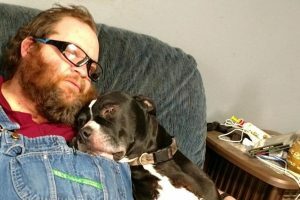 An Iowa man said he was shot in the leg when his pet pooch accidentally pulled the trigger on a handgun stuffed into his waistband while they were horsing around. “My dog shot me,” 51-year-old Richard Remme sheepishly admitted to the Fort Dodge Messenger. Cops confirmed the account, saying when they arrived at Remme’s house last Wednesday, he was bleeding from his leg, and was home alone with the pup, Balew, was sitting sadly in the corner, as if he knew he’d done something wrong. “I was lying on the couch, and we were horsing around, me and the dog. And I was tossing him off my lap, and he was jumping back on my lap,” he told the paper. “And I carry in a belly band, under my bib overalls. 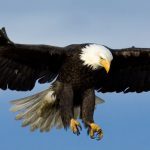 And apparently he bumped the safety one time, and when he bounded back over one of his toes went right down into the trigger guard,” he continued. “It has a trigger safety as well as a thumb safety, and he managed to hit both of them, and it discharged and went into my leg, did no major damage to anything,” Remme said. Fort Dodge Police Chief Rodger Porter said Remme has the proper gun licenses and that no one would be charged, but acknowledged the whole situation was pretty unusual. Fortunately for Remme, the gunshot wound to his leg wasn’t too severe, and he was released from the hospital quickly. When he returned home, he said Balew was beside himself. JOHNSTON, Iowa — Talk about an absentee parent. 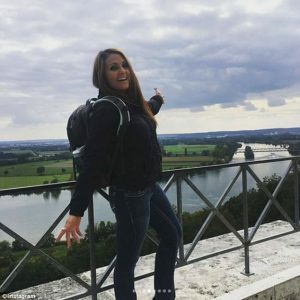 An Iowa mom was arrested and charged with child endangerment after leaving her four kids at home alone while she jetted off to Germany for a 10-day holiday, police said. 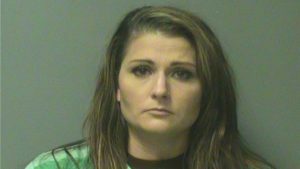 Erin Lee Macke, 30, left her children, two aged 12 and the others 6 and 7, behind when she flew out of town on Sept. 20, the Johnston Police Department said. Cops say she also left them with an unsecured gun that the kids were aware was in the house. 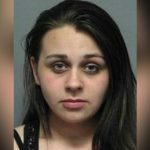 But a day after she left, the father of two of the children called from his home in Texas and spoke to one of the kids who told him they were alone, so he contacted police. Officers notified child protective services and then made contact with Macke in Germany and told her she need to come back right away. The kids have been placed with relatives. 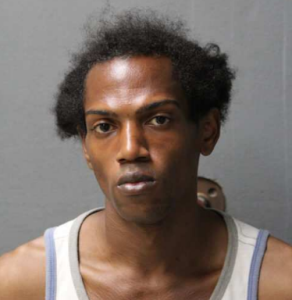 SIOUX CITY, Iowa — Here are a million reasons to stay off drugs. An Iowa man landed behind bars after he tried to deposit a bogus $1 million at a bank, leading the teller to call cops, who later discovered a bag of crystal meth in his pocket. Dennis Strickland, 33, allegedly walked into a Northwest Bank in Sioux City on Thursday afternoon and tried to pass off the suspect note, KELO-TV reported. Bank employees then called cops who asked Strickland if he had more funny money on him after hearing paper rustling in his pockets. As he pulled the contents of his pockets out, a bag of meth fell to the floor. Strickland has been charged with possession of a controlled substance and was held on $1,000 bond. CRESCO, Iowa — They put those weight limit signs on bridges for a reason, apparently. A bridge in toppled into the Upper Iowa River when grain truck tried crossing it while carrying 10 times the weight the span said it was designed to carry, police said. The driver was uninjured, but the small bridge was totally destroyed and had entirely fallen into the river with the truck on top of it. 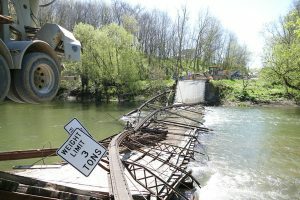 County officials said the truck was carrying approximately 30 tons of feed grain and that the driver appeared to have missed the large signs clearly stating the bridge could only hold three tons. Officials in Wiinneshiek County say it will take some time to clear the debris and until then, warned canoers and kayakers to avoid that stretch of the river. Motorists were also advised to come up with alternate routes for some time until the bridge can be rebuilt. DES MOINES, Iowa — Donald Trump has warned his supporters to be on the lookout for widespread voter fraud. Turns out they don’t have to look too far. 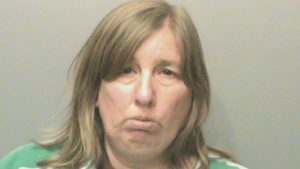 An outspoken Trump supporter in Iowa has been arrested for attempting to vote twice for Trump in a rare case of actual voter fraud. According to the Des Moines Register, 55-year-old Terri Lynn Rote, a registered Republican, cast an early voting ballot at one location and then attempted to cast a second vote at a satellite voting station. Apparently she took Trump’s warnings that the polls are rigged a bit too seriously. She was charged with felony election misconduct and released on $5,000 bond. Polk County Auditor Jamie Fitzgerald says he has reported two other voter fraud cases to police this election, but they are the first he has encountered in 12 years on the job. The other two cases people sending in mail-in ballots and then attempting to vote in person. Meanwhile, two people in Florida and another in Virginia were charged with voter fraud. None of the cases involved the casting of any votes. In Florida, one person was charged with filling out bogus registration forms as part of a voter drive by a medical marijuana group. Another woman was accused of tampering with absentee ballots at the Miami-Dade Elections Department by filling in votes on ballots where the vote for a mayoral race was left blank. In Virginia, a man was charged with submitting bogus registrations as part of a voter drive.